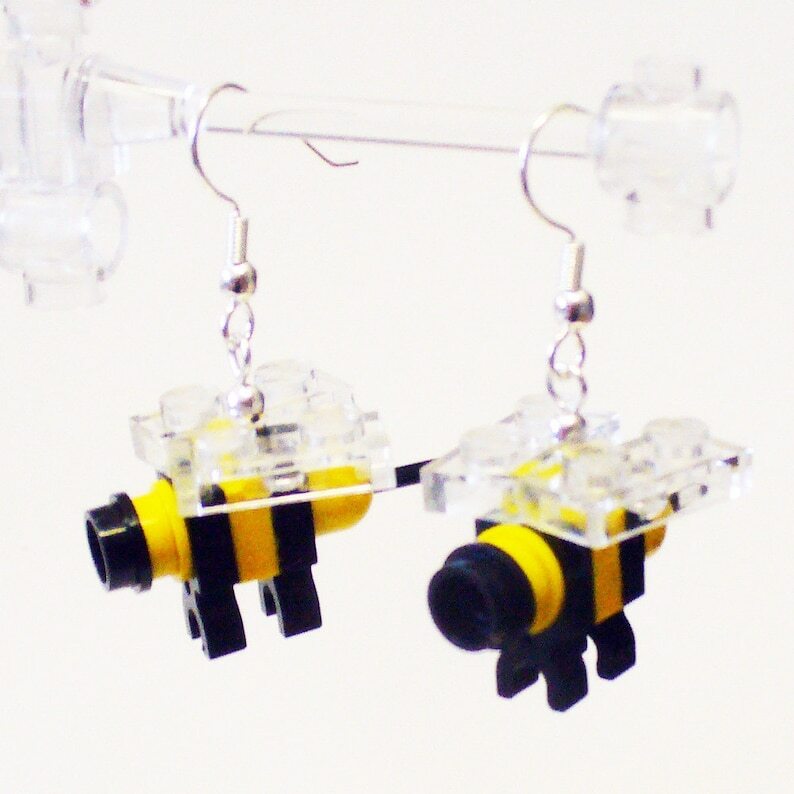 Spring is certainly here and these cute mini Bumble Bee dangle earrings made from LEGO® elements. They're fun and just the thing to complete an outfit. Background clear bricks are not included. Loved them! Great purchase. Will buy again.